Tickets are Nafl. 30,-. Ticket sale starts in March 2019. NEW! 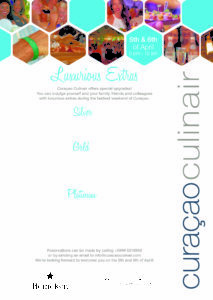 Curaçao Culinair offers special upgrades! 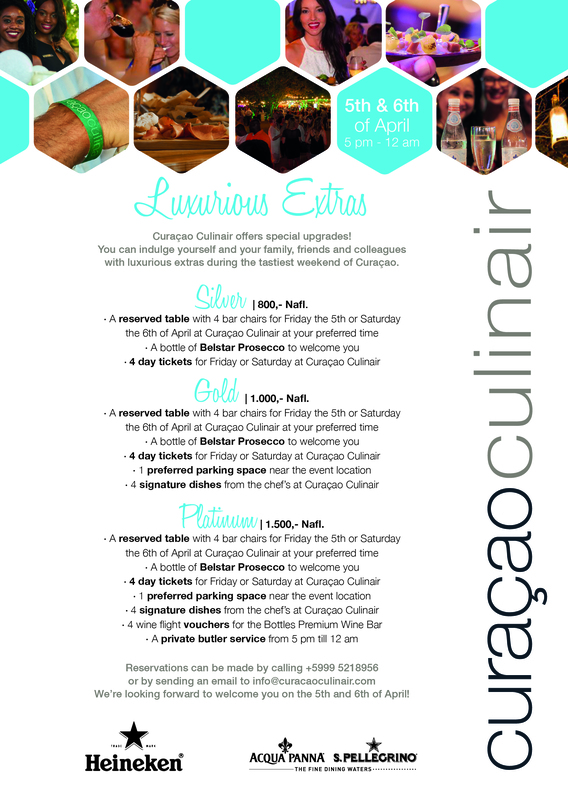 You can indulge yourself and your family, friends and colleagues with luxurious extras during the tastiest weekend of Curaçao.